We’re going to talk about Miss Korea in this post, that’s right, Miss Korea ended its run last February, 26th February to be exact, but i only had a chance to watch it this semester break. 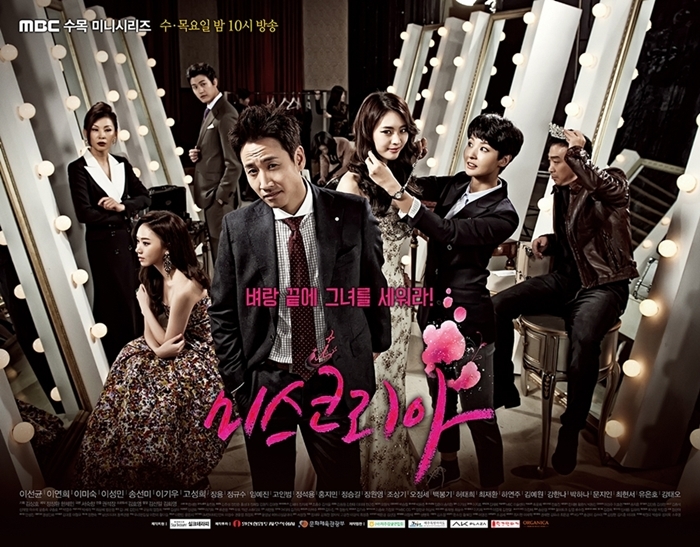 The major reason why i picked this drama up is Lee Sun Kyun, i’ve been a fan since Pasta and another reason is the drama received so many great reviews from korean viewers (their viewers rating didn’t do well because they were up against You Who Came From the Star) so i decided to give it a try. When i started watching this drama i asked my friends whether they enjoy the show or not. NONE of them finished the drama lol. So i thought, “Oh well they’re just too picky. They don’t even watch Empress Ki just because of its length.” I thought the drama was great because of its promising storyline and also Lee Sun Kyun is in it baby! Okay… this is sad.. but, i dropped this drama on episode 6. I just couldn’t deal with their stupidity. Oh Ji Young (Lee Yeon Hee) wanted to have breast enlargement surgery and i don’t understand what’s the big deal of it? Kim Hyung Jun (Lee Sun Kyun) really wanted to stop it, Oh Ji Young being so weak, confused and stupid. For Director Ma (Lee Mi S0ok)’s reason Ji Young needed breast enlargement surgery, i could understand but for Hyung Jun? Naaah. The whole Miss Korea pageant thingy pissed me off. I also didn’t understand why but it just pissed me off. In Summary, I could not deal with their stupidity. I’m sorry i dropped this drama and i have no intention to continue watching this, i don’t even want to watch their last episode. I feel sorry towards Lee Sun Kyun lol he always nails his work and i know that he did his best for this drama. This is the only cap i have…..